A friend of mine turned me on to this company since they know how much of a coffee fanatic I am. I am a diehard fan of my espresso maker, to date I have tried all of The Exotic Beans coffees except Decaf. I was paying a lot more for my gourmet coffees from some of the best roasters in the country, Peet’s, La Columbe, Counter Culture just to name a few. These coffees pale in comparison to the taste & quality of these Thailand coffee beans. Not sure what these guys are doing but their coffee is untouchable even when compared to coffees that cost twice as much. 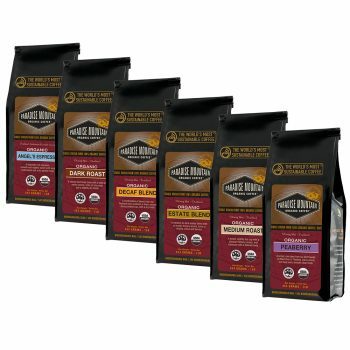 I like them all but I really like their Medium roast, Angels espresso as well as their Estate blend. 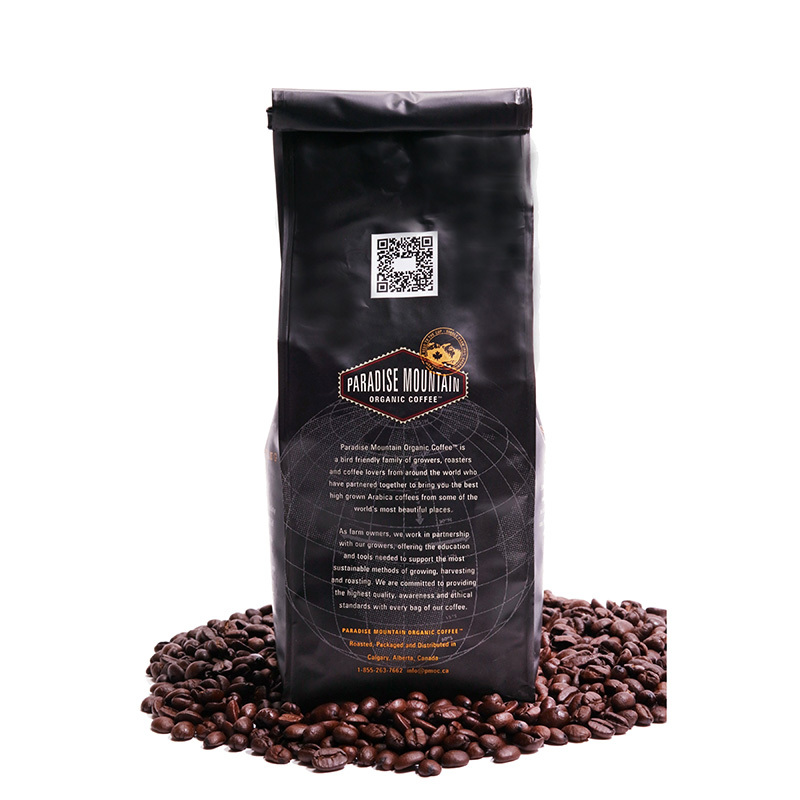 Take it from an experience coffee roaster, these coffees from The Exotic Bean are worth every penny they sell for. You cannot go wrong with any of them. Highly recommend!!!! This is excellent coffee. I have tried the dark , medium and the peaberry, they are all fantastic. The medium roast is very smooth and not bitter but still retains lots of yummy flavors. Thai coffee is a well kept secret in the US. I have been to Thailand twice and I am convinced Thai coffee is some of the best in the world. Very smooth coffee, not bitter nor acidic. When freshly brewed has a full body with hints of citrus, sweet aroma and taste. We really really like it. Great coffee!!!! Very pleasantly surprised, it is smooth, rich with great flavors without the usual Asian earthiness. Have ordered seven times already, fast shipping, fresh product what else can you ask for? This is the coffee that restored my faith in coffee. I thought maybe I have no clue how to brew good coffee. Despite my best efforts it always came out too bitter or tasted over roasted. My search is done, trying their peaberry now, hard to believe this is even better than their medium roast. 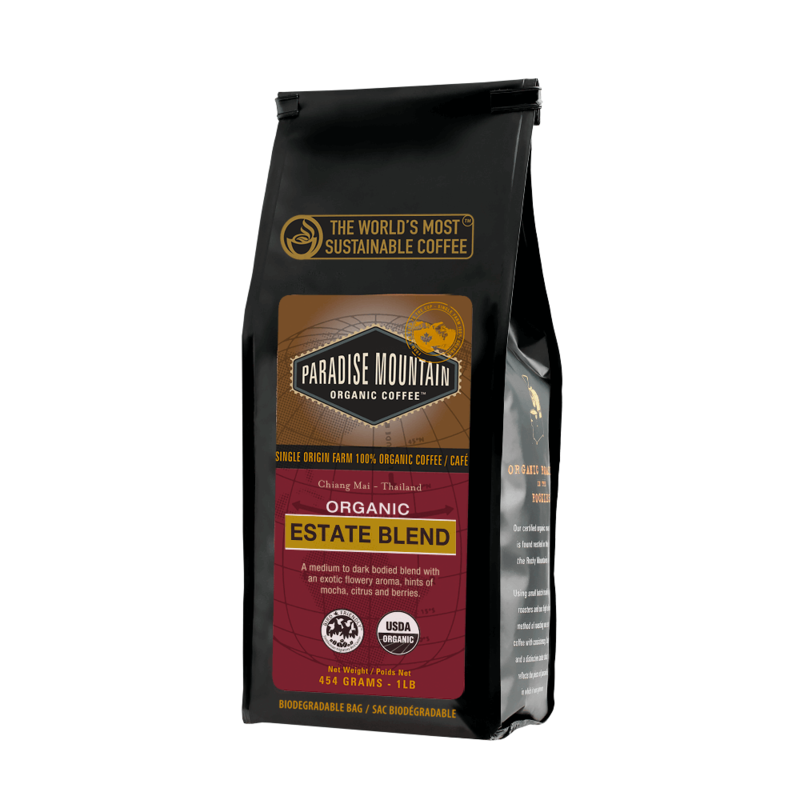 Where has The Exotic Bean been hiding this Paradise Mountain organic coffee? Well this has opened my eyes, not sure if this is just a special coffees or have all the other coffees I have tried were just that bad? I am a numbers person so I am going to go with this coffee is exceptional. Love the natural flavors this coffee has plus it’s less expensive than many others I have tried. Fantastic cup of coffee. This coffee is fantastic, smooth no bitterness, full of a wonderful array of flavors. Hands down one of the best coffees I have ever had and with this price point my new number #1 coffee. Highly recommend!! A friend of mine gave me some of your coffee for a birthday present, I received a Thai Peaberry and a Thai medium roast. OMG, I thought I knew good coffee, obviously not. Both of these coffee are hands down the best I have ever had. Best present I received this year….will be back for more. My husband wanted to try something different. We were searching for an organic medium roast and found this one. It’s a bold medium roast that simply makes a great cup of coffee. We perc our coffee and this stood up well. We have ordered this coffee several times and it has earned a place among our regular go to beans. Nothing but high praise for this outstanding product. Smells heavenly and tastes so flavorful, yet smooth without a hint of bitterness. I’ve tried other “smooth” coffees (several in fact) and they seem to have the flavor removed and are still bitter. I don’t know what’s different about this one but it is so smooth, very flavorful with hints of citrus, which is key if you prefer black coffee. I cannot imagine how tasty this would be with cream & sugar. A special coffee, truly to be enjoyed. We were looking for something special here and we found it. We usually drink Green Mountain coffee but no more. This coffee was full bodied yet tastes so smooth, better yet has a nice caffeine rush. Great cup of coffee. I bought this coffee originally off of Amazon and loved it, after searching Google for this company I found their website. As with most products on Amazon prime they tend to be less expensive if you buy them directly from the supplier. With that said this is by far the best tasting and smelling coffee I have ever had. If you are looking for or used to a strong bitter cup, this is not for you. With that being said I do not like weak coffee, this coffee is smooth, very flavorful and SO SO delicious. This coffee checks all of the boxes….do yourself a favor, buy this you will not be disappointed!! I heard of Thai coffee but never have seen it for sale. When a friend of mine referred this company to me I figured I would give it a try, glad I did! This coffee has an excellent taste, not bitter, very flavorful,not some watered down coffee. Pleasantly surprised, great price….will buy again!! !